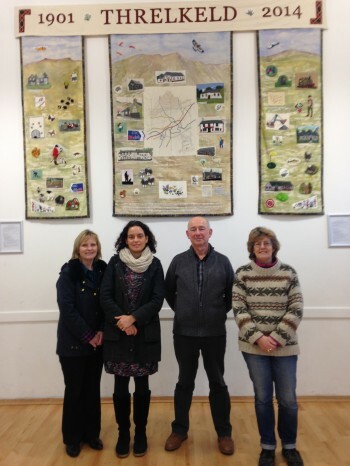 Threlkeld Public Room has stood in the village since 1901, but in March last year it opened its brand new doors as Threlkeld Village Hall and showcased a newly renovated community facility and coffee shop. In the bid to hit the ground running, Threlkeld Village Hall Trust received a grant of £17,350 from Cumbria Community Foundation’s Community Health and Wellbeing Fund for Eden and East Allerdale in late 2013. The grant contributed to start up funds the Trust needed to make the hall a long term resource for the village. “The coffee shop is now Threlkeld’s principle social and community focus and improving the economic and employment base of the village significantly.” said Trevor Roberts, Chairman of Threlkeld Village Hall Trust. 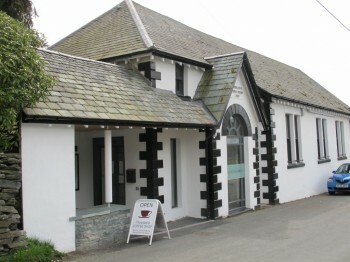 The village hall is now lending itself to tourists as well. Being on the Coast to Coast cycle route from Whitehaven to Sunderland, the coffee shops makes an ideal resting spot for cyclists – with an outside veranda and its own car park. The committee are also developing the use of the hall as an overnight retreat for campers. “We’ve had wedding receptions, music events and overnight use of the hall and it looks to continue to develop into a vital supplementary source of income to help maintain the facility for local use.” said Trevor. Cumbria Community Foundation also granted £7,490 from the same fund to Threlkeld Activities Association, the board who organises the events and activities to run a dance and activities programme. The funding enabled the purchase of destratification fans, AV equipment, lightweight dance mirrors and exercise mats and the ability to advertise and promote the activities in the hall. To find out more about grant funding, contact Cumbria Community Foundation’s grants team on 01900 825760 or click here to our grants page.